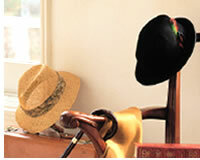 Originally, our organisation was established as a hat manufacturer. The manufacturing skills originally used continue to this day. Our headwear,known as KNOX® brand hats, have been worn and loved by many people. KNOX® is a high class hat brand that originated in the U.S. in 1838 and has been loved by notabilities such as Lincoln, the 16th U.S. President and Rockefeller, the oil tycoon. 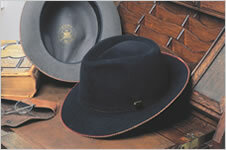 We have been a licensee for KNOX® brand hats under the approval of the KNOX® licenser in the U.S. for many years. We will continue to produce headwear products that satisfy the taste of people who appreciate fashion.